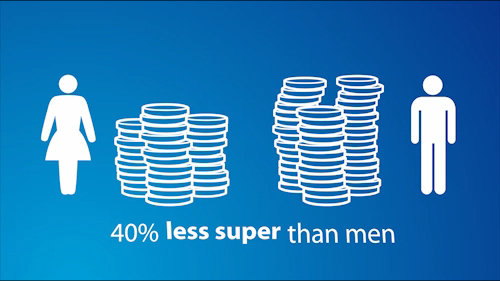 People are finally talking about the inequality surrounding women's super and the facts reveal a serious situation. While women's super balances fall far short of men's, there are plenty of reasons for this and there are also lots of simple ways that you can start growing your super. Watch the video below for a clearer understanding of your super. There's a lot we can do to help you turn the facts in your favour. 1. Look at your current situation – Check your current super balance, and details of your insurance cover, on your latest Member Statement. You could also register or log in to Member Online or get in touch with us. 2. Work out how much you might need – Use our online Retirement Income Calculator to calculate how much money you might need for a comfortable retirement. 3. Take action – If there's a gap between what you need and what you’re on track to receive, watch the video to learn about the five super strategies that can help make up the difference. Talk to QInvest today for affordable and personal financial advice, contact us.